Napoleon Bonaparte, the conqueror & military leader from France gifted this engagement ring to her fiancee, Josphine. 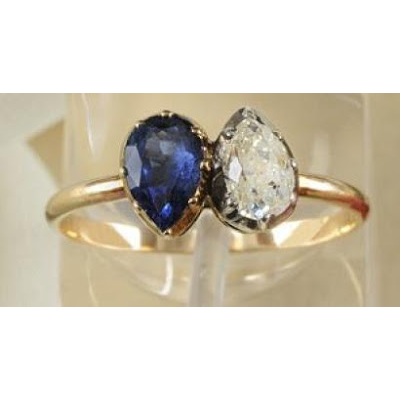 This ring which is studded with a pear shape sapphire & a pear shape diamond, made in yellow Gold, was recently auctioned for close to a Million USD. The ring was a part of the collection of Prince Victor Napoleon of France, heir to Napoleon Bonaparte.